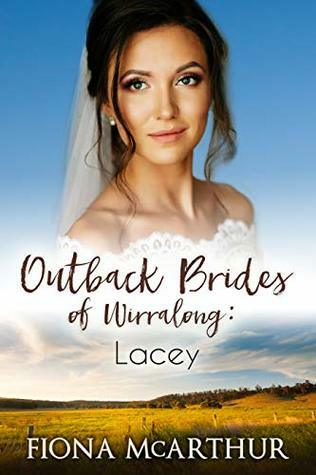 3.5⭐⭐⭐ I loved returning to Wirralong and catching up with the characters we came to know from the Outback Brides series. In this chapter we meet local policeman Cameron, and Lacey, who has been hiding out in town from an abusive husband. After a one night stand, Lacey disappears for 8 months and then returns pregnant. I loved Cameron, I thought he was a lovely guy despite his reputation as a ladies man. I thought his desire to be a dad to little Ethan was lovely, especially since he'd been so against fatherhood. I wasn't a huge fan of Lacey, I could see where many of her issues lay, but I found her behaviour towards Cameron to be dismissive and unfair. After they both race to rescue a second pregnant woman, things begin to change on the relationship front. This was a nice read with a HEA. Thanks to NetGalley and Tule Publishing for a digital copy in return for an honest review. Sign into Goodreads to see if any of your friends have read Lacey.